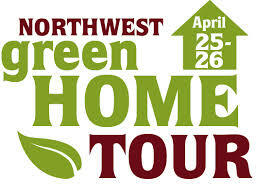 The 5th annual NW Green Home Tour, hosted by the Seattle Chapter of the Northwest EcoBuilding Guild, is only a few weeks away! With a wide array of projects featuring everything from solar power to rainwater recycling, tour guides and project team members on-site, and a plethora of information and resources, this is a fantastic opportunity to really get inspired first-hand! Plus, it’s FREE! We have to admit we are a little blown away by the sheer number of great sites on the tour this year (oh how to choose! ), but we never-the-less made our selection of must-sees! Note that sites are open Saturday or Sunday only. 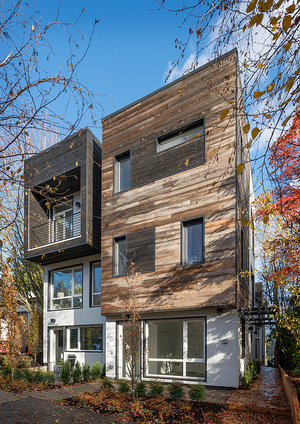 Built by award winning Cascade Built & designed by b9 Architects, View Haus 5 is Seattle’s first Passive House-constructed townhome project. With 5 unique floor plans, these 5-Star Built Green homes are visionary and built to last. While in the Central area you might also stop by the Madrona Passive House. This modest 1940’s home was extensively remodeled in 2011 to increase natural light, energy efficiency, garden views, and unique storage space, and is now fully integrated into the sustainable garden, featuring cisterns, permeable paving, a small green roof, a compost fence, urban livestock and a large kitchen garden. Visit 21 Acres, a LEED Platinum certified facility with the unique distinction of being fully integrated with 21 Acres’ own bio-diverse Organic farm. Walk the farm, shop the market, see the commercial kitchen and experience the entire green-built campus. While in Woodinville you might also want to stop by Clearwater Commons. Dwell Development’s first attempt to certify a project at the rigorous Emerald Star Built Green level. In fact, it will be the first single-family spec. house in the Northwest to attempt such a feat. It’s more like 10 Star Built Green! 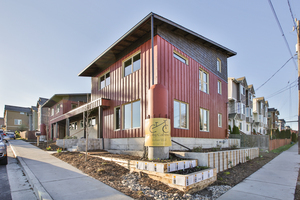 While in Ballard you might also stop by the Plum House by Green Canopy Homes. Imagine living in a net-zero home with enough juice left over to charge the car! This is Martha Rose Construction’s latest 5-Star Built Green project, where you will find garden roofs and rain cisterns, stained concrete and stainless steel, and much more. While in North Seattle you might also stop by the Greenwood LEED Platinum Prefab. SIPs construction, triple-pane windows, super-efficient ductless heat pump, LED lighting, compact, efficient appliances, low-flow water fixtures, and elegant use of a small space are just some of the features of this 400sf ADU. While in NE Seattle you might also stop by the Lifestream Backyard Cottage. ← Housing Makes Headlines, Again!